The central element of Countdown’s Reports is the country profile, a presentation of key health and survival statistics, coverage levels, and policy, financial, and equity indicators that Countdown has published regularly for all high-burden countries. Countdown’s full reports (which have been published in 2005, 2008, 2010, 2012, 2014, and 2015) contain two-page country profiles for all Countdown countries, presenting the most recent available information on selected demographic measures of maternal, newborn, and child survival and nutritional status, coverage rates for priority interventions across the continuum of care, and selected indicators of equity, policy support, human resources, and financial flows. 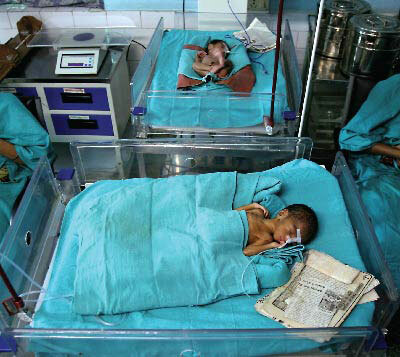 Countdown also produced “accountability reports” in 2012 and 2013 that contained abbreviated one-page country profiles focusing on the core indicators selected in 2011 by the Commission on Information and Accountability for Women’s and Children’s Health, encompassing key elements of the reproductive, maternal, newborn, and child health (RMNCH) continuum of care. Each of these reports also contains Countdown’s analysis of trends in coverage and its major determinants, including patterns of equity, policies and health system performance measures, and financial flows to RMNCH, at both the global and country levels. Articles on Countdown data and analysis have also been published in The Lancet and other journals. In addition to reports, profiles, and research articles, Countdown and its partners produce a range of briefing notes and publications, including materials related to cross-cutting research and secondary analysis, and tools to assist countries in undertaking robust and effective Countdown work at the country level.